This isn’t exactly a ghost encounter, it is a Ouija Board encounter. I was just fooling around on a Ouija board when suddenly it said my name is “Teach.” I asked, “Are you Blackbeard?” and it said yes. Then he asked me to read him something from the Bible, and said if I would do it he said he would tell me where his treasure was. I told him I would read it, but I didn’t want his treasure, as I was afraid that would be inviting him to hang around. What he wanted me to read was Ezekiel 27. I’m sure you think I pulled this out of my subconscious. You’ll understand when you read it what I mean. The only thing I ever read about the Bible were the basic Bible stories. I didn’t even know there was an Ezekiel 27. 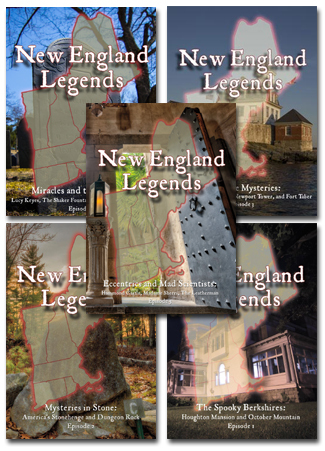 New England Legends Podcast 51 - Buried Alive in Vermont? Hi. The verses from Ezekiel are about a sea-faring trading nation of antiquity. they can be applied to modern places, peoples and practices in the sense that Bible verses are often about past, present and future events, happening in recurring patterns. These verses can loosely be seen to reference the trade of pirates in any age. Also the legal trade between any and all seafaring entities, private and political. So it is interesting that Teach led you to these verses, he having been a known pirate. But remember, in using a OIUJA board you are opening yourself to communication from a demonic source, a fallen angel, if you will, also a Biblical teaching. Jesus warned us that demons exist and they aim to mislead and deceive us. This can put you in danger as to the fate of your eternal spiritual existence by turning you away from God, the source of all life and all good. It is very likely that this was a demonic entity contacting you. Demons are capable of lying to us and all the knowledge of human history is open to them. They even know all about you, your friends, family and ancestry. They’ve been around forever. They know about Teach and everyone else who has lived. If you would read the Bible, you will find that the Bible warns against using any form of contact with the spiritual world except prayer to the creator Himself. He is a spirit too. and the most powerful. why don’t you ask Him for truth and study the book he gave us? 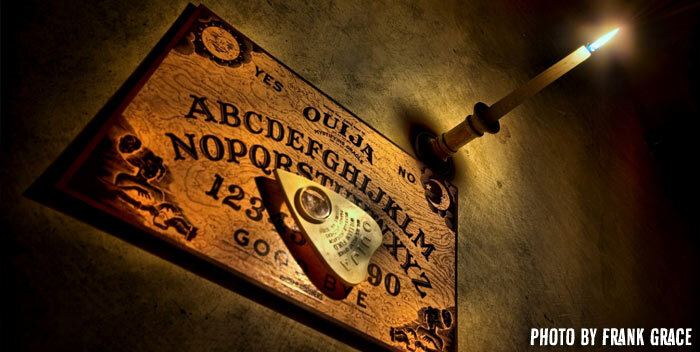 You would be wise to throw away the board and never try to contact the dead or spirits again. Even one such use can open a door that you may find very difficult to close. And you do not really want to invite one of these unclean things into your life. If you find that a demonic spirit is in your life, the best thing to do is turn to God and Christ , asking Him to banish this spirit and deliver you from any further contact with it. God will answer any prayer, from anyone, especially a sinful person who is in need of Him. But if you ask for something destructive or that will lead you away from God, like a million dollars, the answer will be “No”. This was years ago and I haven’t been bothered. I did refuse his offer of the location of his treasure. Maybe it really was him and reading this for him gave him peace. According to Jesus everyone is entitled to forgiveness. You should only worship and pray to God, Jesus and when you do this daily expect that your prayers will be heard and answered. You can believe and know that God and Jesus are real and that is why when you pray it should be with respect, reverence and not selfish. Pray for others. Mankind is sinful and in need of your prayers always.